Book a local Seattleite for a personalised exploration of the city. Your local host will build the best experience for you based on your interests. Discover what it is like to see the city through the eyes of a local. Book this meet-up with a Seattleite and we will contact you within 24-hours to ask you questions about your preferences and interests. The team will match you with a like-minded and vetted local host who knows the city intimately and shares your interests. A personalised itinerary will be built just for you. Please note that this will be outlined but flexible. Experiences can range from the sharing of advice over a coffee, to the discovery of a small neighbourhood, or the exploration of Seattle as a whole. Your local host will show you the places and things that make Seattle unique. Replicate the experience of spending time in a city with a friend who lives there as the best travel moments come from going beneath the surface of a destination and discovering it through local lens. The CityUnscripted team will arrange a meeting point and time with your host in the most convenient place for you. During the exploration, if you feel like changing direction, or if your local host believes that you'd enjoy a sight or different experience, he/she will suggest and discuss with you changes to the itinerary. 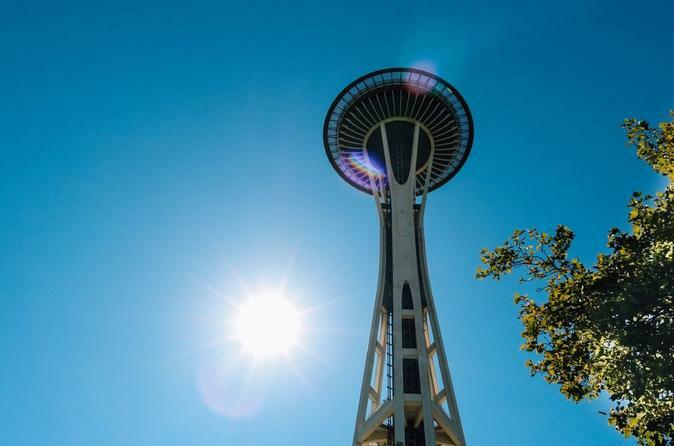 Enjoy discovering amazing spots in Seattle that you don't know about and are difficult to find in any guidebook or on the Internet as they are lesser-known to the crowd but loved by locals. The day will revolve around your wishes so enjoy your private tour and let your local show you the Seattle you will love.